Samsung is planning to introduce its newest smartphone, the Galaxy Note 8, sometime in the second half of August, according to people familiar with the company's plans (via Reuters). If accurate, the August announcement will come about four months after the launch of the Galaxy S8 and nearly one year since the first cases of exploding batteries in the Galaxy Note 7 were reported by users. Although details are somewhat scarce, the Galaxy Note 8 is said to include a curved display that is "marginally larger" than the 6.2-inch display of the current Galaxy S8+, while also including two rear cameras. In comparison, last year's Note 7 had a 5.7-inch curved display with one camera on the back. Today's sources made no comment on the potential pricing for Samsung's new smartphone. Analysts said that Samsung is "intent" on continuing to use the Note brand, despite the Note 7 devices that caught fire on a worldwide scale last year and ultimately cost the company $5.4 billion. Tech giant Samsung Electronics Co Ltd plans to hold a launch event in New York City for its next Galaxy Note smartphone in the second half of August, a person familiar with the matter told Reuters on Tuesday. Samsung is intent on continuing the premium Note series despite the costly collapse of the Galaxy Note 7, which it was forced to scrap roughly two months from launch in October due to fire-prone batteries. The incident, one of the biggest product safety failures in tech history, cost the firm 6.1 trillion won ($5.4 billion) in operating profit and hurt its credibility. Following the initial cases of exploding batteries in the Note 7, Samsung faced a tough few months in 2016, sending out a video apology to users, halting Note 7 sales worldwide, and encountering a ban of the smartphone from all U.S. flights. In January, the company concluded that a design flaw in the Note 7's battery and some welding defects were the main culprits behind the handsets that caught fire. Now, Samsung runs an 8-point Battery Safety Check for its smartphones, beginning with the April launch of the Galaxy S8, and analysts believe that the company's messaging is helping it to recover quickly following the Note 7 drama. 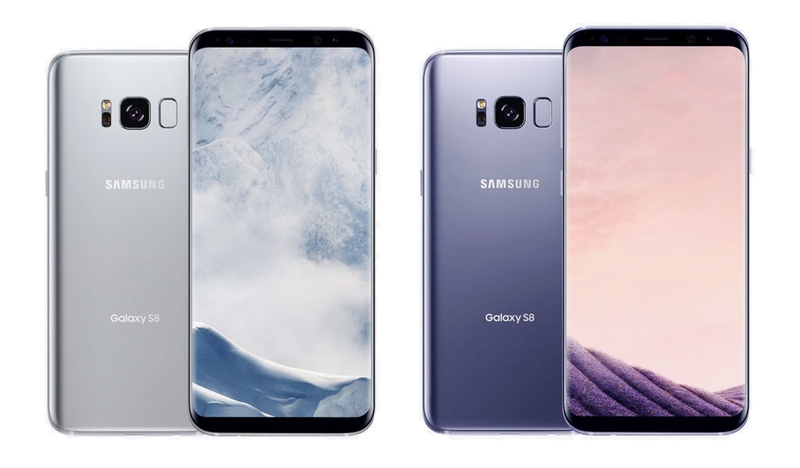 Samsung said that pre-orders were its "best ever" for the Galaxy S8 earlier this year, leading to what could be the company's highest profit period ever for April-June 2017. When it launches, the Galaxy Note 8 will be another competitor for Apple in the premium smartphone space, with Apple's "iPhone 8" launch event expected to take place sometime in the traditional mid-September time frame. For the iterative iPhone 7 and iPhone 7 Plus update last year, industry analysts said that the lack of "a compelling enough feature set" was not enough to convince some owners of potentially exploding Note 7 devices to switch from Samsung to Apple. When the phones have derivative design, bad hardware layout, bad software and hardware performance, bad pricing (compared to other Android devices with similar processors and specs), bad OS/third party integration, bad privacy, extremely poor security, exploding batteries are the least that Samsung should be concerned. My next phone. Really missing that S Pen and quick notes. Bring it. Because 6 is an unlucky number in Asia and 7 is a lucky number. Yeah, that definitely worked out for them. A New note? The internet will love this! Burn baby burn. So an even larger phone. Who can carry this without a purse? I think we can all agree that "Exploding Batteries" will leave a "remarkable" name for a rock brand. Girlfriend has a note 6. Nice phone. The stylus is what will keep her with the Samsung Note series. She uses the hell out of it and was lost when she needed to replace the stylus and had to go a couple of days without it. I would be the first one to buy an iPad Mini with pencil support as my daily note taking device. The 9.7 is too big for me for daily note taking. This will be my next phone. I was wishing Samsung would have released the re-released Note 7 here in the US but the Note 8 will be out soon enough. I'm still using my Note 5, Note 4 and Note Edge. You'd be able to do that yourself with a wallpaper if for some reason they chose not to.